One of the best qualities of excellent designers is the ability to change structural shortcomings into desirable features. 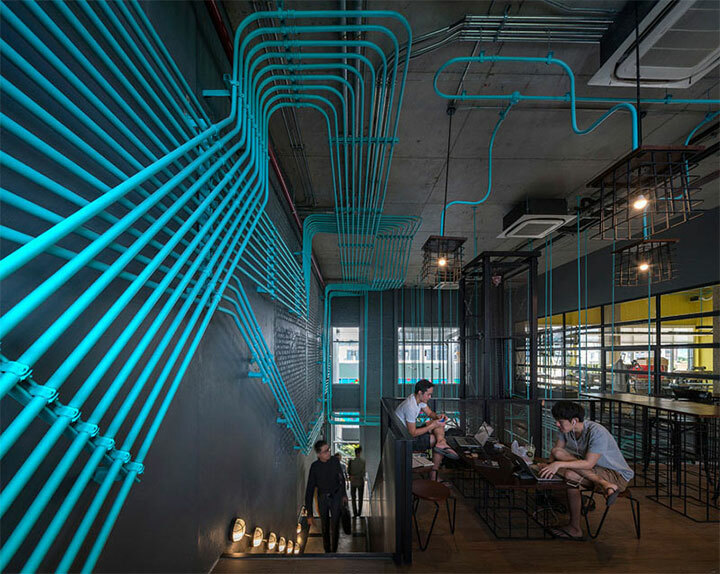 It is exactly what happened with the creative ceiling decor of the Hubba-to co-working and artisan space in Bangkok, Thailand, where designers from Supermachine Studio and developer Sansiri decided to take full advantage of the exposed electrical conduit and make it the visual focus of the space. 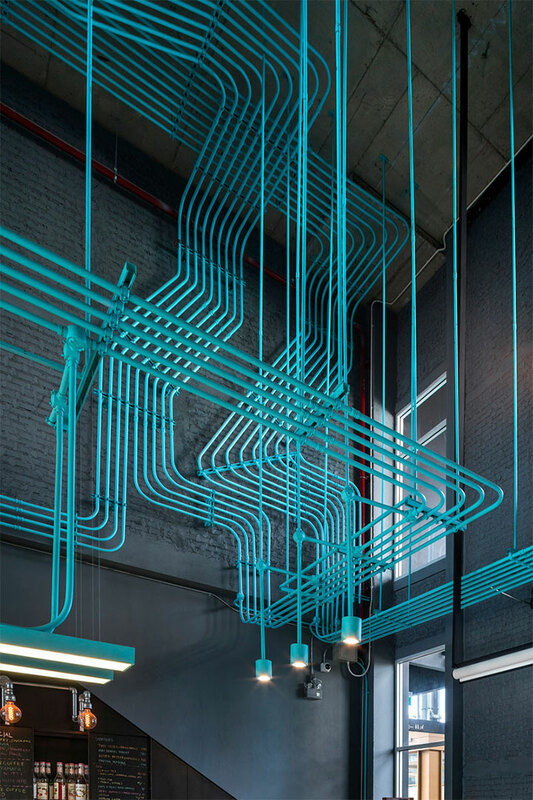 The designers chose paint as a simple, yet effective method of changing the uninspiring original look of the pipes, and bright turquoise to make them stand out. 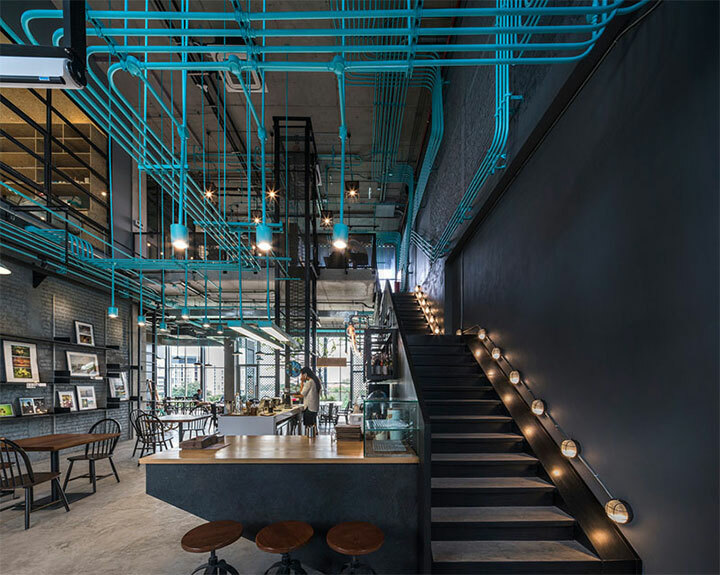 Projected against the dark unfinished ceiling, the visible conduit pipes running all throughout the space turned from an ugly duckling to the main decorative element of this interior. Once they decided to make the electrical conduit the star, the designers added more pipes to complete their vision and to create even more drama. 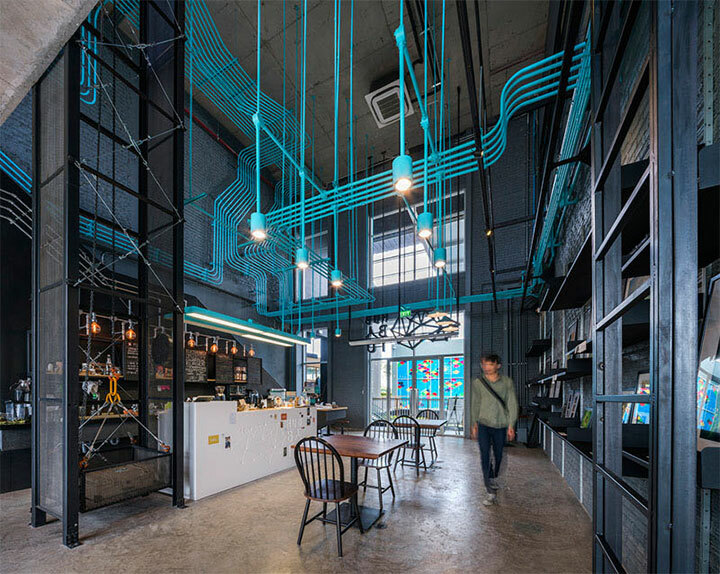 The result is a perfectly organized system of pipes that spreads across the ceiling and walls and runs between the two levels of the space. Flowing together in straight lines, bending here and there and following the contours of the building, the pipes come together into a visual display of geometric and artistic beauty. If the eye instantly feels the need to follow the flow of the pipes, the view is even better from the upper level. 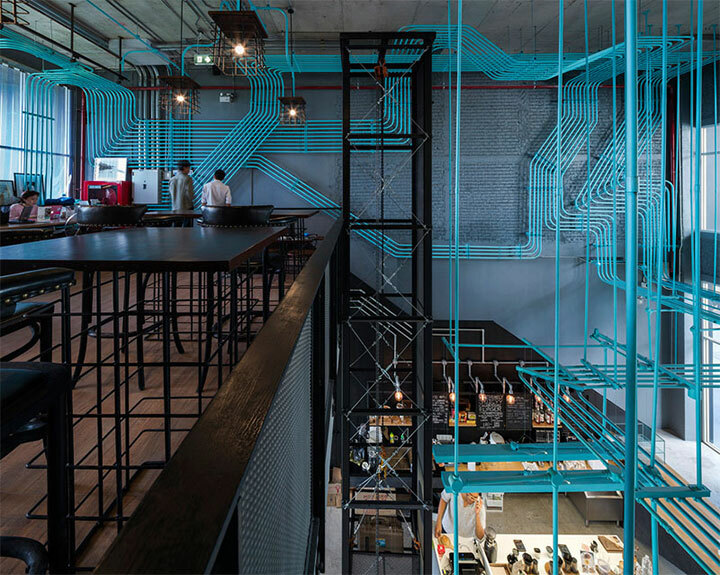 From here, the fascinating way that the architecture of the pipes fills and define the space invites a second look. Every now and then, the pipes descend and become lighting fixtures that preserve a general simplicity of detail. The look has an artistic vibe, especially in the work area, where this rain of uneven dropping lights has something of the beauty of a starry night sky. The space looks like an enormous machine whose inner mechanism and engine is left in full view for everyone to enjoy it. 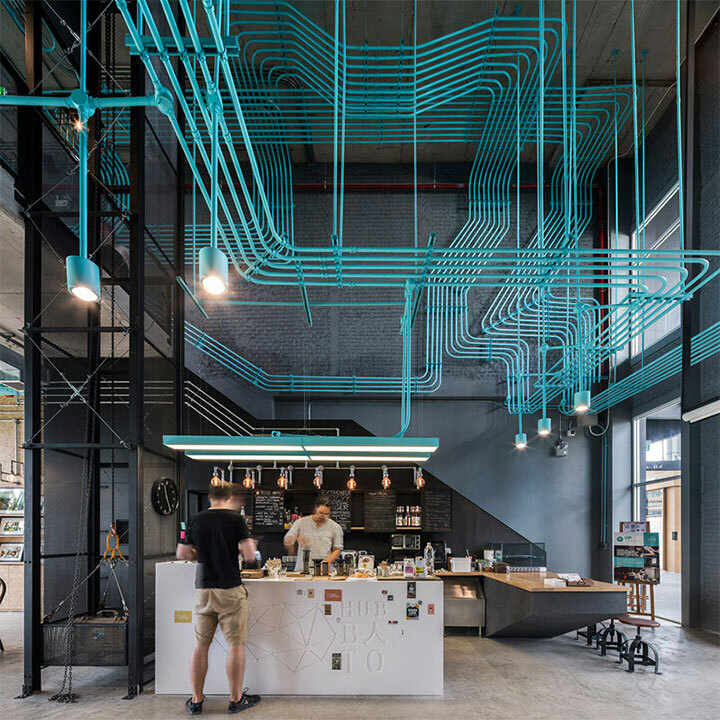 Combined with the industrial vibe of the place, this creative ceiling decor gives this interior the cool factor necessary to make it a success.